At this time of year the Christmas collections of papers and embellishments are selling out fast! The perfect way to remedy this is to buy yourself a digital collection. These are perfect for last minute makes and you can print at any size and as many times as you want! Last week I showed you all the 123 Punch Board from We R Memory Keepers and asked if you wanted a demo on all that it does. I have included a full demo of the board in today’s tutorial – it’s perfect for making all your makes coordinated. Posted in 12 Days Of Christmas, Bags & Boxes, blog, Cardmaking, Christmas, YouTube and tagged 123 punch board, classic christmas, gift boxes, gift packaging, nitwit collections. 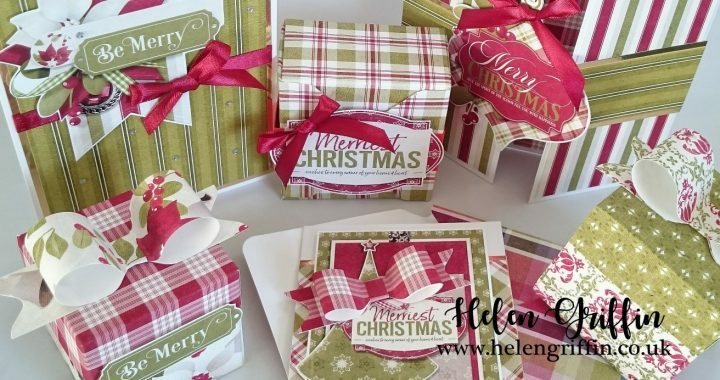 Loving these projects Helen and the papers. I’ve never bought digital kits before so I will have to give this a try. I just hope my printer behaves itself. Thanks also for sharing the name of your printer too, it helps to know what I’m looking for when I need to buy a new one.